Nestled deep in the Los Angeles National Forest is a small backpacking campground called Little Jimmy camp. It is a popular introductory backpacking site which a group of people I was with chose for a "into to Snow Camping" location. The trail is very easy to find and map out. The advantage to this hike is that you park around ~6700' -6800' and can hike to ~7500' in 2.04 miles, Pull the full hike here. On the hike, there are actually two options. You can hike along the side of the mountain via the famous Pacific Crest Trail. A portion of the trail can be taken via a fire road, which adds only .05 miles. 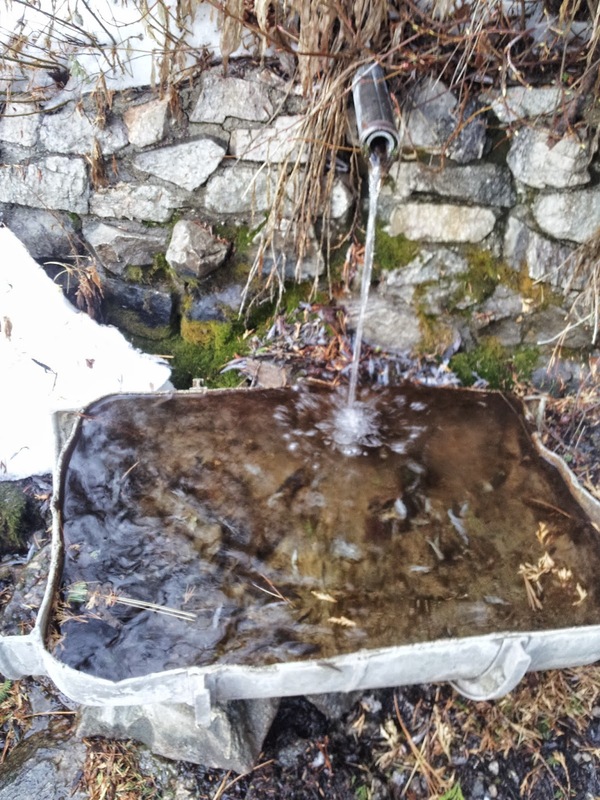 There is also a natural spring that along the PCT past camp, approximately 0.20 miles. My plan is to pack a couple power bars and enough water to drink both directions. Once I arrive at camp, I will check the spring before I use any water for food. This way, if the spring is dry, I can rely on the power bars and minimum water. However, all research our leader did, the water is flowing and clean. We were very fortunate to have a good leader that did a fair amount of comprehensive research and share maps. Most of us were prepared for minimal snow. We were hoping for at least a couple inches, though all research showed us we may not have any. Prior to the trip, I chose to invest in staying warm and dry - merino wool sweater, hat, and socks along with some snow pants and a soft shell. I did not waterproof my boots or buy crampons to grip ice. Instead, I made my own crampons by taking 4 T-Bars and 8 screws to split them between my boots. These were attached with straps and metal buckles. Looking back, I will buy crampons next time for 12-25$. It is funny to read the comments we had prior to the trip, hoping we would have at least an inch or so. Little did we know what we would encounter. When we arrived, we were pleased to see snow at the beginning of the hike. The weather was already around 55F. The view was immediately beautiful. As we hiked up the trail, the snow got deeper. My boots held up pretty well, but as we started to increase our altitude, we walked along the edge of the mountain and hit some deeper drifts. 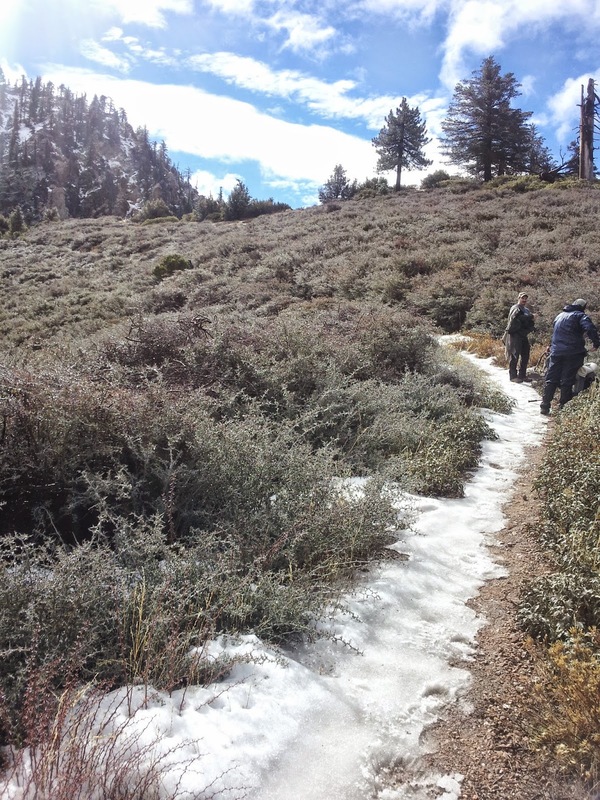 Some of the hikers were native Californians and were not used to walking in snow. 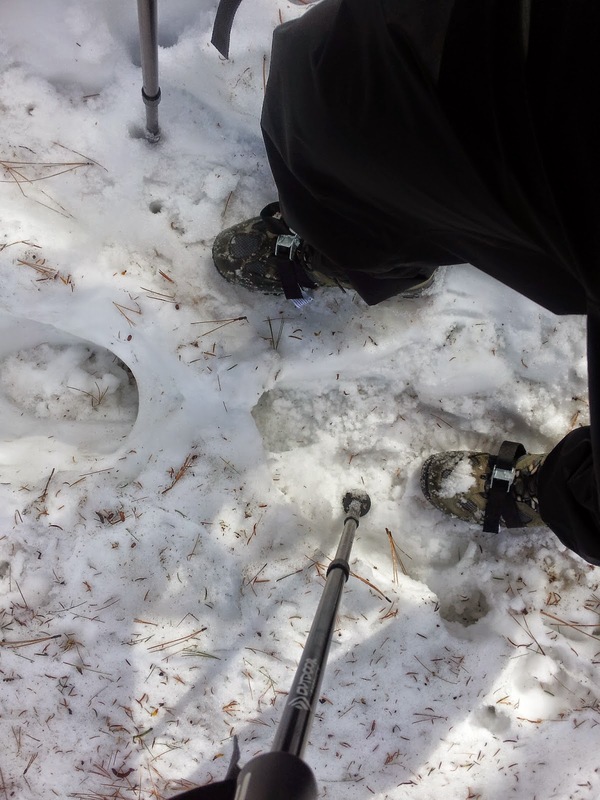 I had to explain how to walk on it, distributing weight each step, and how to tell where the snow was thicker with a layer of ice so your foot isn't crashing through every time. Otherwise, you are crashing through every time and stressing muscles that are not used to constantly being stressed. When we finally reached camp 2 miles in, the views were spectacular. 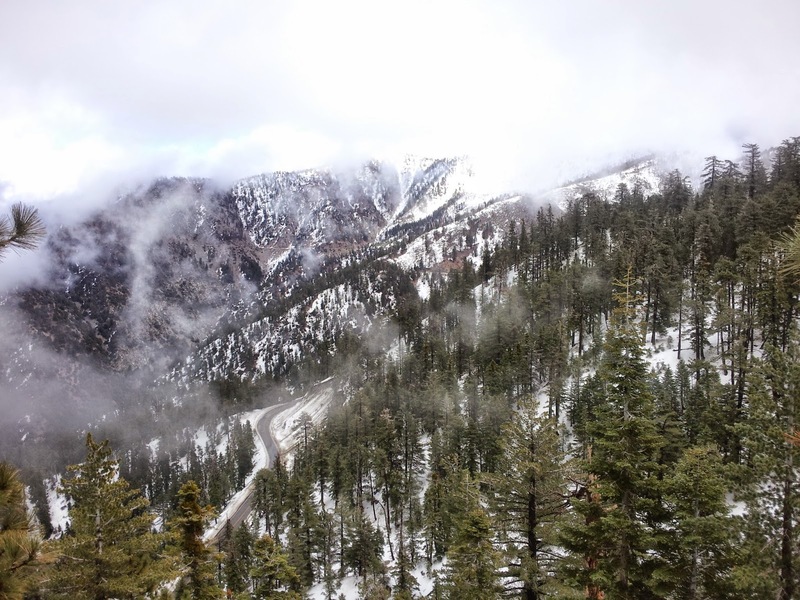 The combination of the trees with the snow backdrop and clouds lingering directly in front of us was amazing. It was hard for many of us to enjoy, as we were now very cold from walking through 12-15" of snow. My feet were very cold at this point since my boots were saturated with water. Others were in pain, crashing though the snow and stressing muscles that hadn't been worked out in a long time. The camp was pretty nice, though we had to spend a good amount of time cleaning up. Since there was close to 2 ft of snow, we had to clear off the picnic tables for a cooking surface. I learned that packing down snow for the footprint of my tent did not mean the snow would melt through and soak my tent. In fact, the extra 1-2 ft of coverage would protect me from wind. Once my tent was set up, it was time to find water. We were exhausted, cold, and it was going to get dark soon. There was a natural spring on a hill about 1/2 mile away, but we weren't 100% sure. At this point, my feet are wet and I am starving, but I knew if I didn't get water now, I would run out before hiked back down. After what seemed to be forever, we came upon the spring. The water was so clean and cold, I forgot about my feet. Upon returning to the site, I warmed up my freezer bag meal and some coffee. When I think back bout this hike, I can still recall how delicious this coffee was when I added some Bailey's and Whiskey to share. I carried this in one of those small kids water bottles and it was well worth the weight. The last thing to do before going to sleep was boil some water for a heater. Pouring boiling water into a metal water bottle (with a strong seal) and toss in the bottle of your sleeping back acts as a heater. It worked very well. My 30 degree bag was not quite warm enough, so an extra layer of wool, the water heater, and pulling the drawstring on my mummy tight enough that only my nose stuck out turned out to be enough. When we woke up the next morning, it really took an extra effort to get out of my bag. The weather was much worse then the night before. However, your body kicks into gear as you go into survival mode. I made some oatmeal, packed up my tent and gear, and we headed back to our cars. The hike back was much easier, but we had to have 2 people run down. 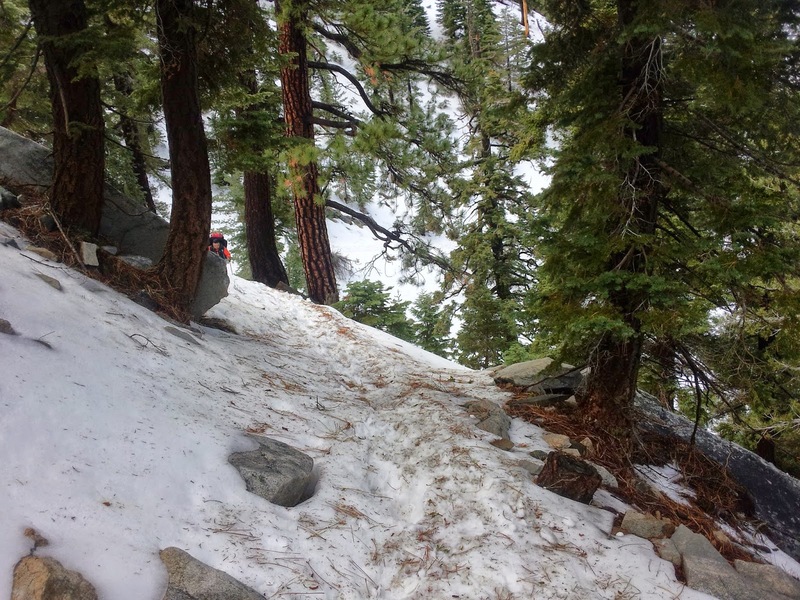 One of our fellow backpackers had injured herself on the hike up and was unable to move, We actually had to get help to bring her back down, which the rangers did by trapping her to a sled. Overall, it was an awesome experience. There is something about carrying all our gear to an area you could never survive without it and sleeping on ice. If you are looking for a good backpacking site for beginners, this is it.